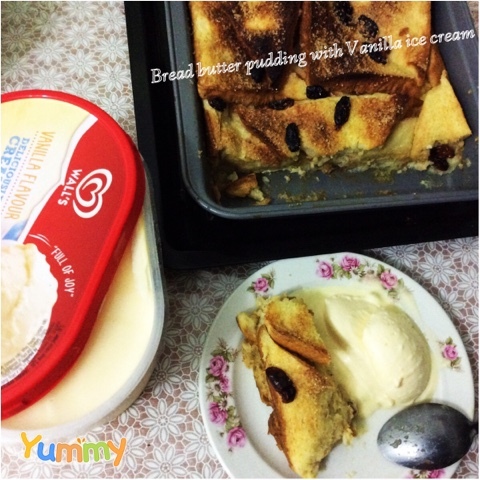 Long time i havent update my blog 💁🏻, so this time i will show to you the result of my very unskill cook for making the Bread Butter Pudding with Vanilla Ice cream. Bread butter pudding its my favourite choice dessert at this moment, and im so crazy irresistable to making em 😋 with my homemade bread butter pudding. First time, i meet this great dessert is when i have some event serve by Hotel service, apsalutely hotel service will serve a good dessert, for the very first time i taste it, it blown my mind. But. 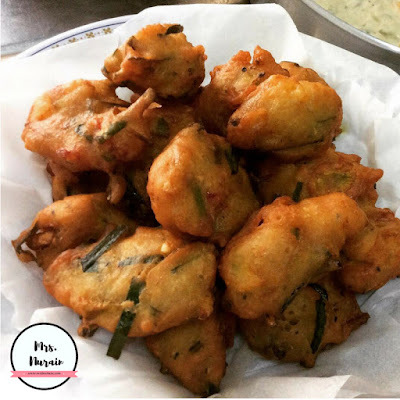 the important is , in that moment , i want to eat it more n more.. Yummyih😋😋☺️. Clearly, i really love it . The bread butter pudding. And it is so crazy delicious 😋😋😋. The Bread Butter Pudding is best serve with Vanilla sauce. What makes it soo tasty is soft textures and sweet from the bread butter pudding And the dipping vanilla sauce. Delicious vanilla sauce recipe will make taster eat more than one time.yeapp. 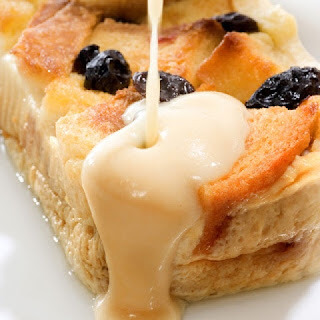 Bread Butter Pudding With Vanilla Sauce -usually serve at luxury n classy restaurant/hotels. Im not making the exactly bread butter pudding like that 👆🏻👆🏻👀, but im making the bread butter pudding that more to instances n lazy version for me. Yeay👯 . U can try it on ur own too 😉. 1) cut the bread into small shape in way u want it. Spread butter on bread . Organize the bread in the baker pot and throw little or more raisin in every side of bread. Put aside for while. 2) crack 5 eggs into one bowl, add brown sugar (any sugar will do, as long it is sweets😊) and stir it until it smooth. I use brown sugar to cut the sweetness coz my mom have diebetic problem. Make sure the dish u make, all people in ur house can taste it. U may use stevia as another alternative to make it sweet amd healthy😚🌸. 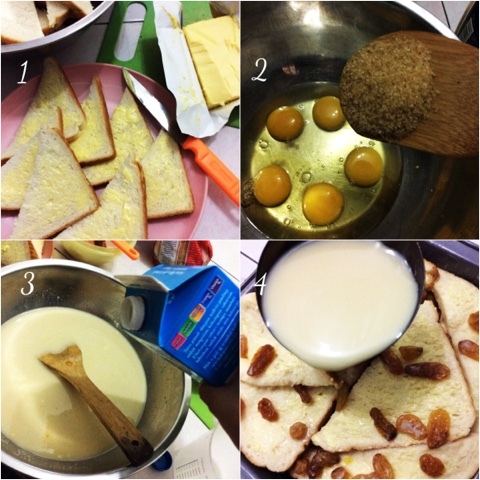 3) after that, pour milk into the bowl and stir it until all the elements is smooth, no more sugar appear at the bottom. 4) Just one last step to go... Pour the smoothy gravy milk, sugar and egg into the baker pot and flood it with bread as much u like😊😍. Bake it for 180degrees temperature in 40 to 50 minutes. 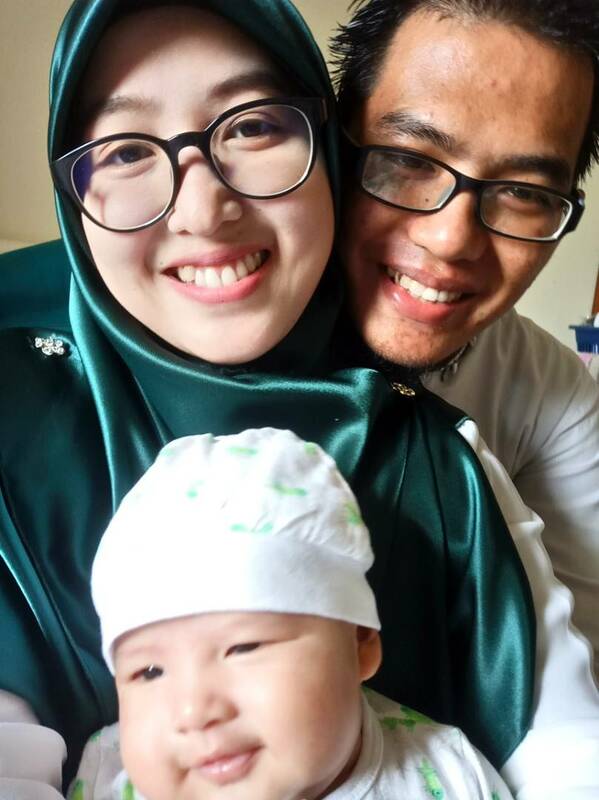 Please try it once, i know u can do better than mine. I need to improve my presentation, the raisins is overcooked, next time will better.😉 promise✌🏻️. Bye.